From now until December 28th, while supplies last, YoYo.com is running a special on select Lego sets. Some of the sets are marked up prior to the percentage off, so I'll list the sets with prices cheaper than RPP (Retailer Purchase Price) after the jump. 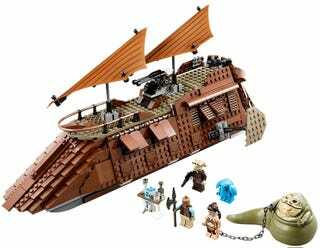 Millennium Falcon (7965) - $139.95 (RPP $139.99) 4 whole cents! Mindstorms EV3 (31313) - $349.95 (RPP $349.99) another 4 cents!